The Day of Pentecost. (A Dramatic Reading). By Hal H. Hopson. For Unison Choir, 4 readers, Organ accompaniment, and 5 Handbells. Bible Reference: Acts 2:1-17. Choral. Sacred, Choral. Choral Octavo. 4 pages. Published by GIA Publications (GI.G-3442). Tune Name: VENI CREATOR SPIRITUS. Jesus, Remember Me by Jacques Berthier. 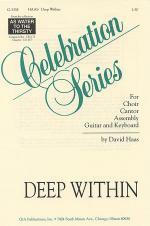 For SATB Choir, Keyboard accompaniment, and Flute. Bible Reference: Luke 23:42. Taize. Includes guitar chord names. Sacred, Easter. Easy. 4 pages. Published by GIA Publications (GI.G-3430). Song of the Body of Christ. (Cancion del Cuerpo de Cristo). By David Haas. For SAB or Unison Choir and Keyboard accompaniment. Oramos cantando. Includes guitar chord names. Sacred. Text language: English/Spanish. 12 pages. Published by GIA Publications (GI.G-3360). With Text language: English/Spanish. Sacred. Tune Name: NO KE ANO 'AHI 'AHI Text Source: Canticle 18, Book of Common Prayer. 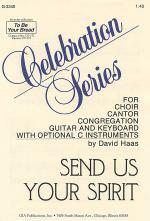 Send Us Your Spirit by David Haas. For 2 equal voices, 2 C Instruments. Celebration Series. Sacred. 8 pages. Published by GIA Publications (GI.G-3340). 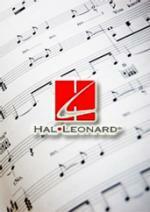 Instantly downloadable sheet music by Richard Crashaw for choir and piano (SSA) of MEDIUM skill level. Holy Is Your Name by David Haas. For 3 mixed voices. 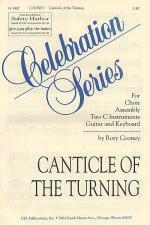 Celebration Series. Sacred. 8 pages. Published by GIA Publications (GI.G-3334). 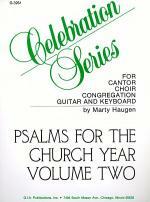 Psalms for the Church Year - Volume III by David Haas. For Choir and Keyboard accompaniment. Psalms for the Church Year. Includes guitar chord names. Sacred. 72 pages. Published by GIA Publications (GI.G-3325). Text Source: various. We Are Called by David Haas. For Unison, 2 equal or mixed voices. 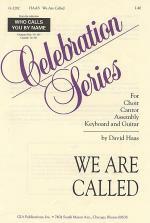 Celebration Series. Sacred. 8 pages. Published by GIA Publications (GI.G-3292).